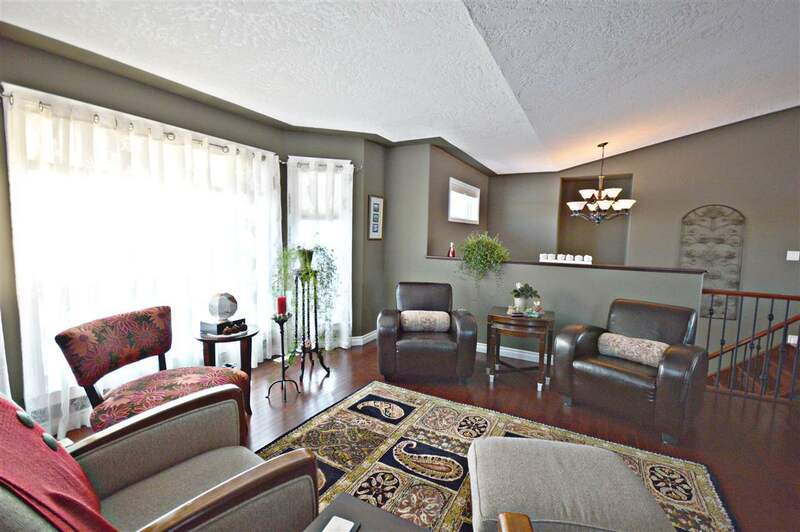 Elegantly designed & beautifully crafted, this 1712 sq ft bi-level, built in 2007 is perfect for family living! 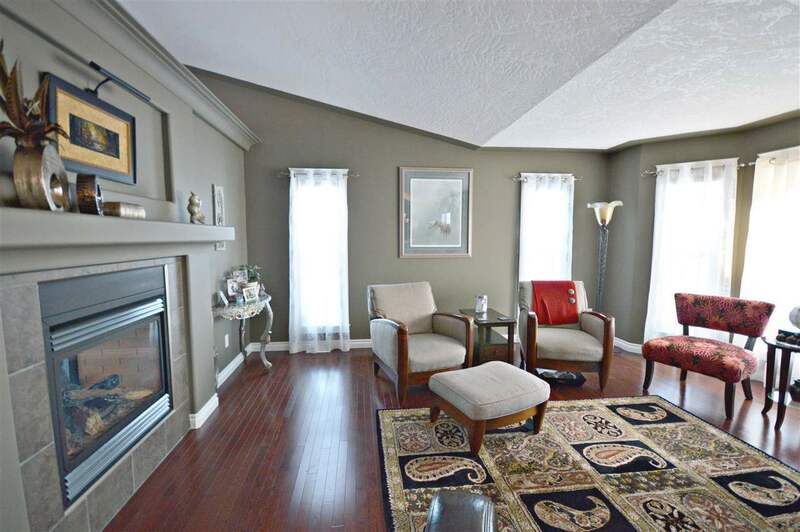 So easy to love w/features galore including hardwood & ceramic tile floors, vaulted ceiling & open concept floor plan. 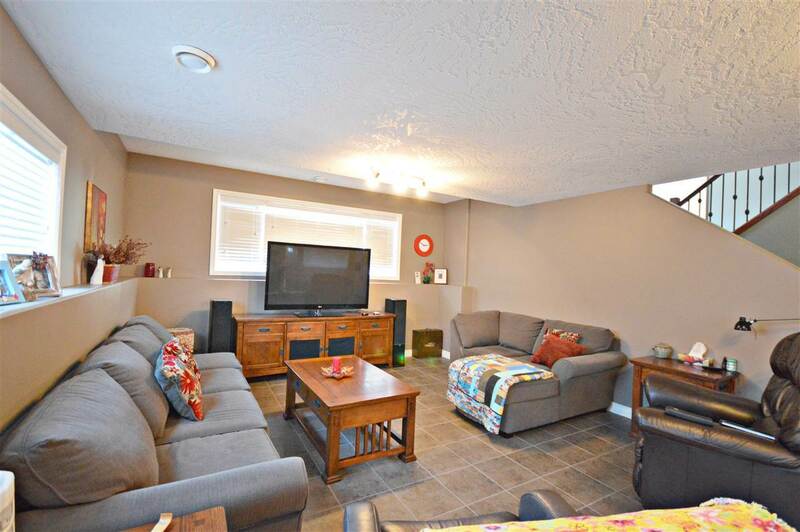 Spacious living room with bay window shares a cozy two sided gas fireplace with kitchen w/tons of cupboard space, eat at island, corner pantry, stainless steel appliances. 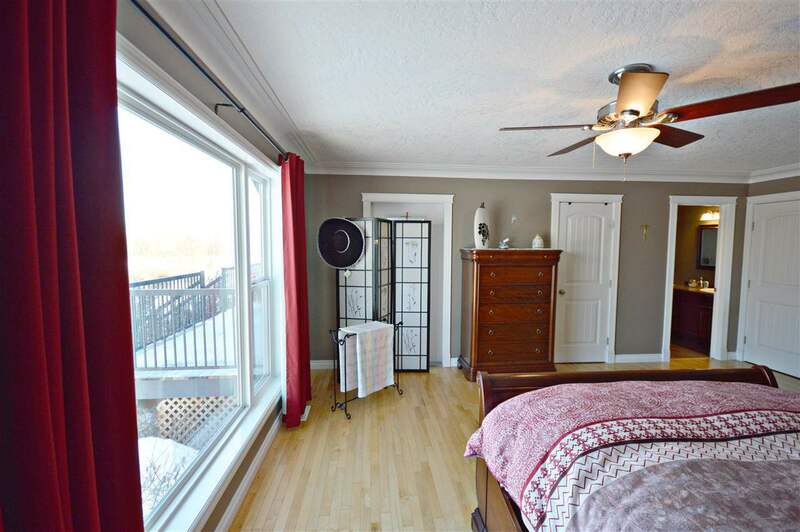 Large dining area & garden door leads onto a spacious deck overlooking the backyard. 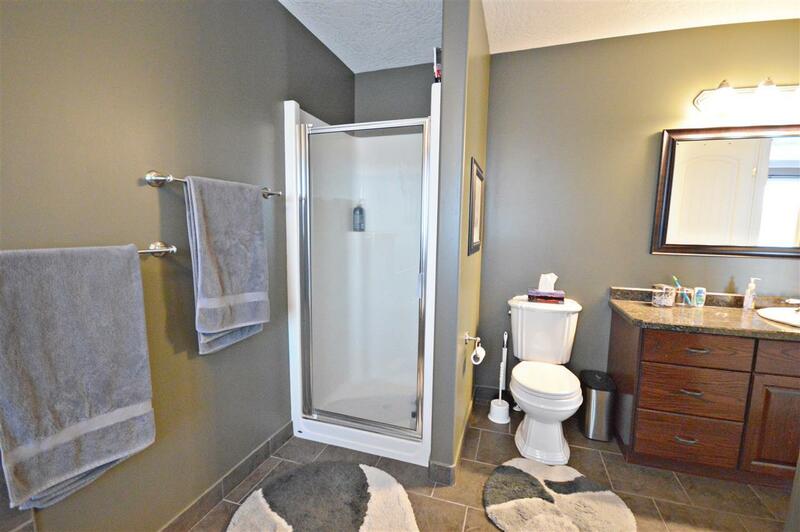 Total of 5 bedroom & 3 baths including a master with walk-in closet & 4 pc ensuite w/jetted tub & stand up shower. 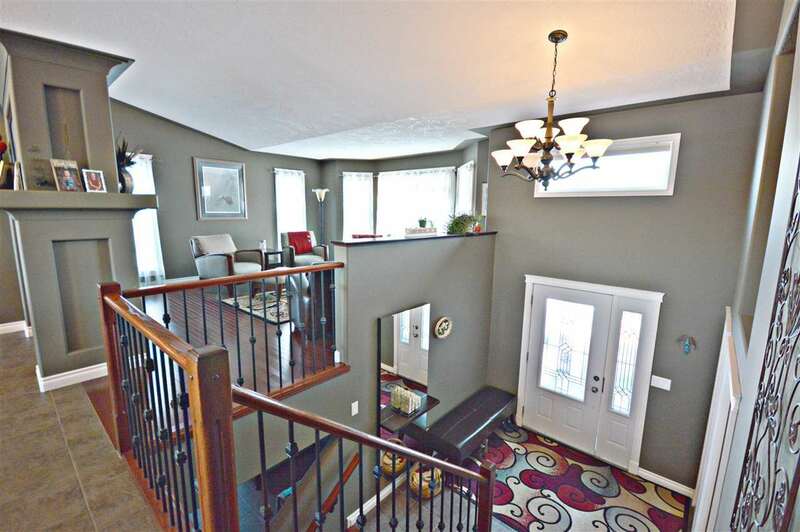 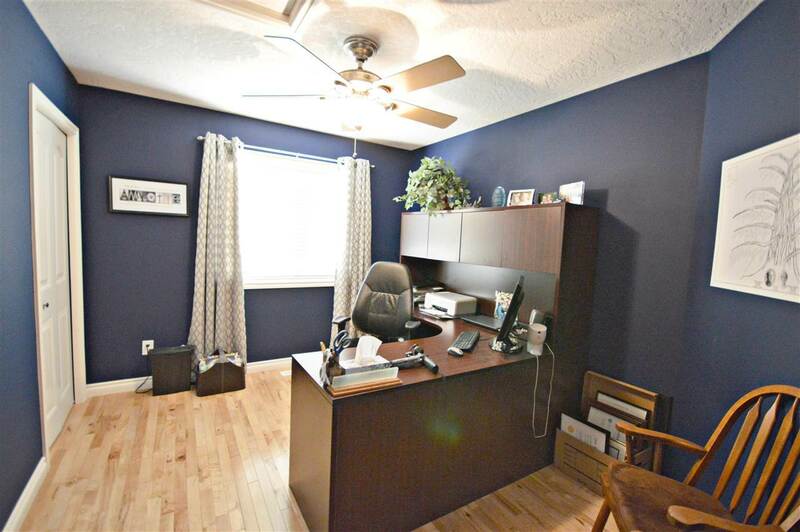 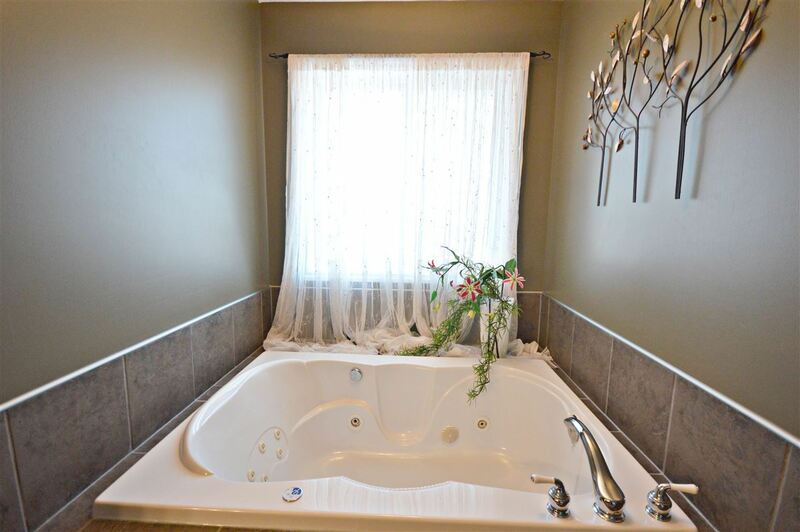 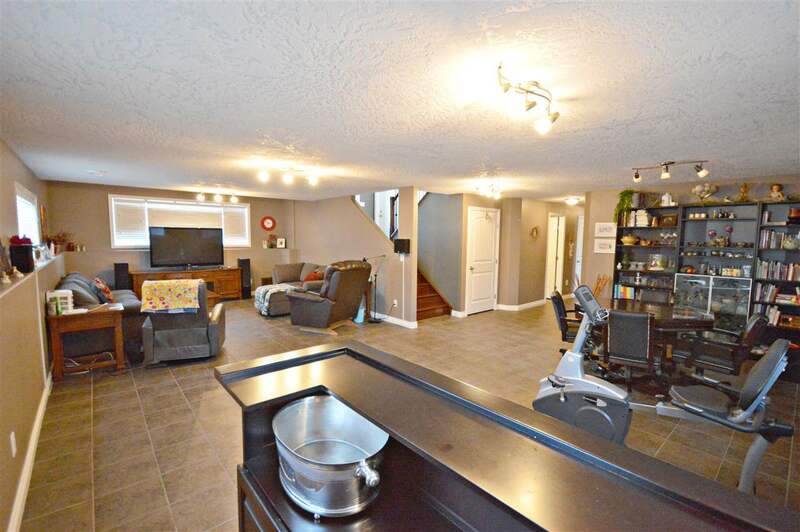 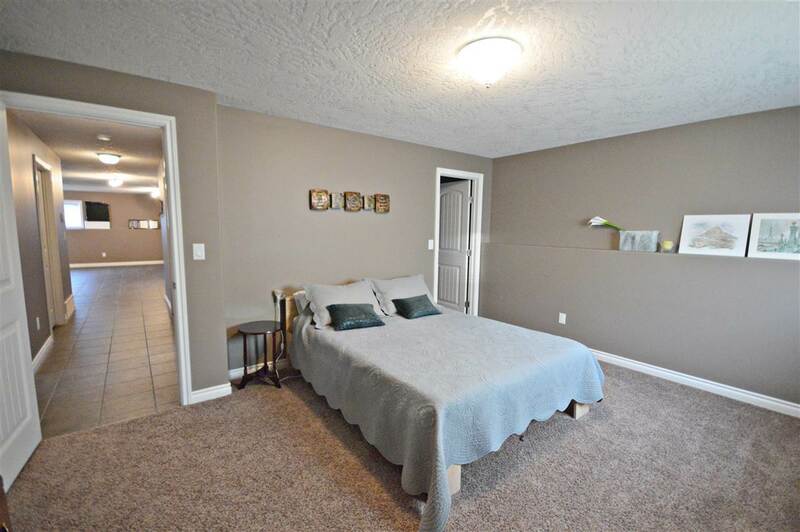 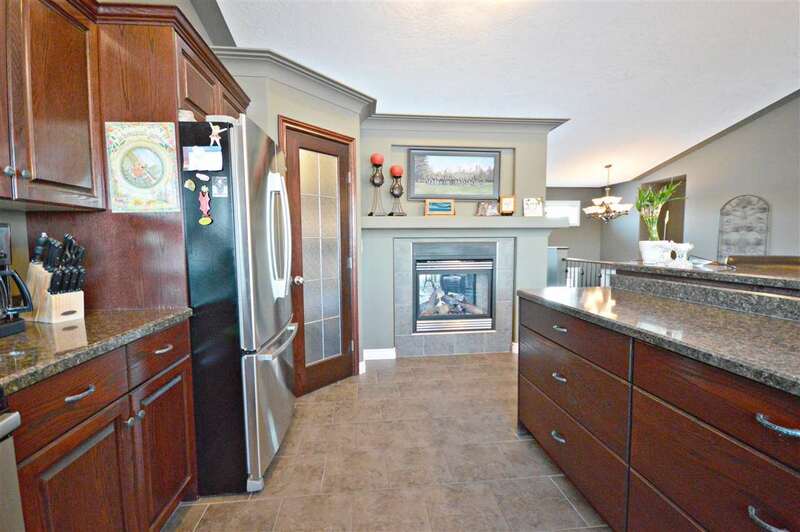 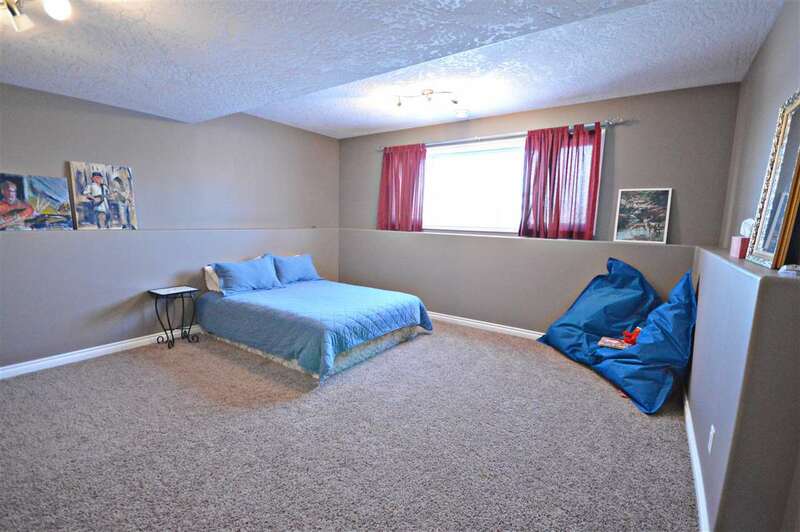 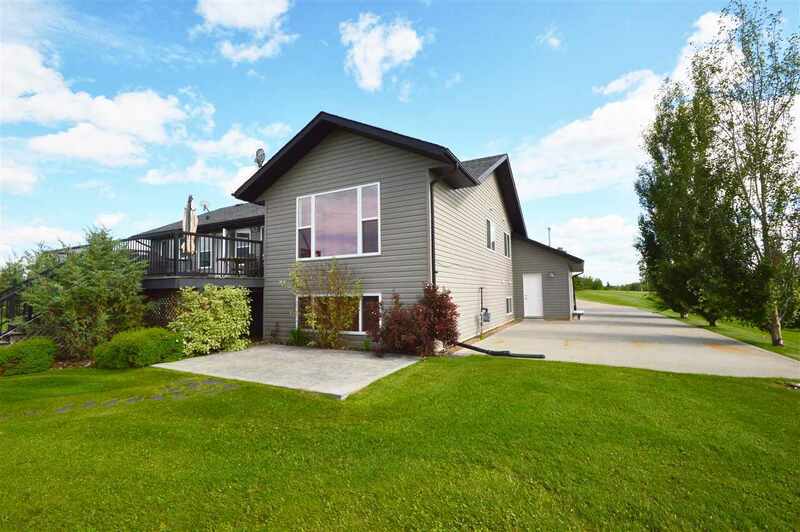 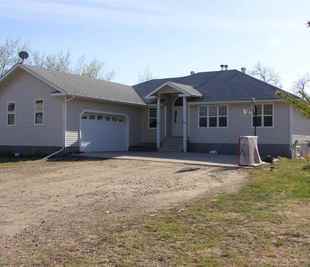 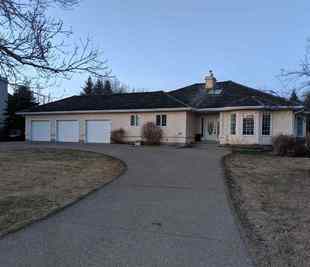 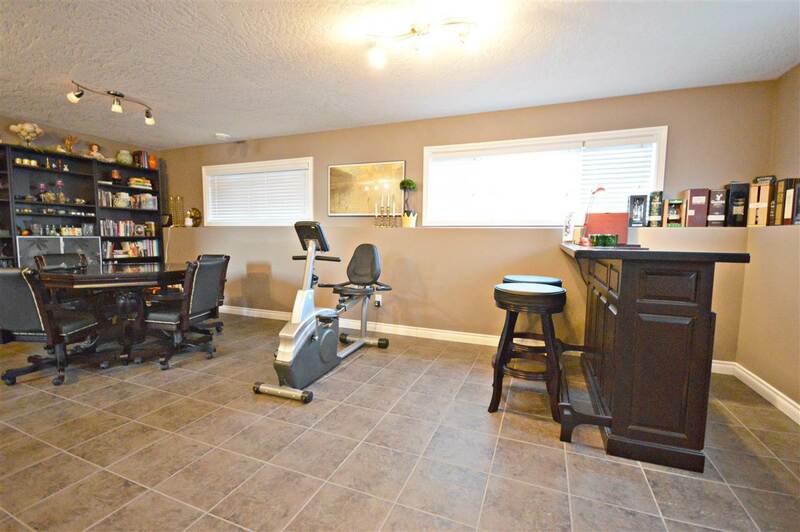 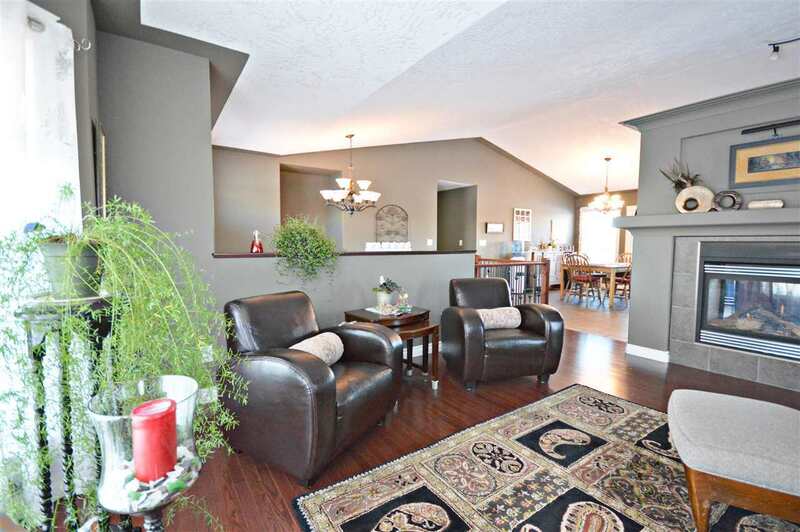 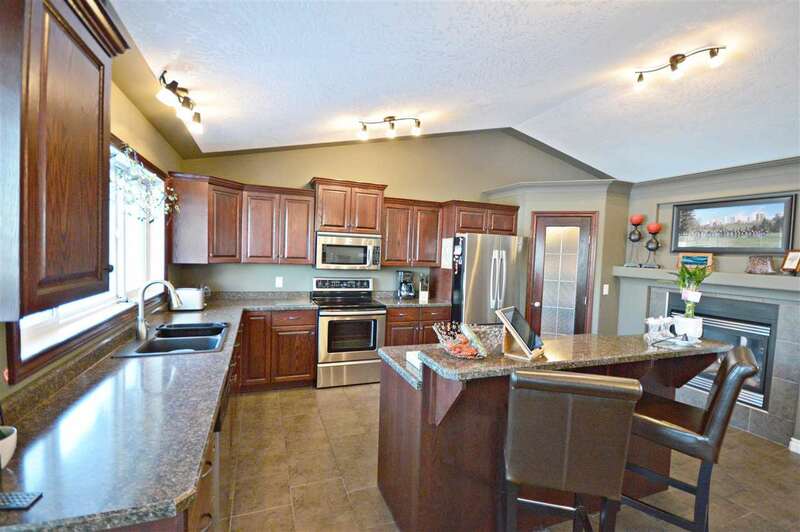 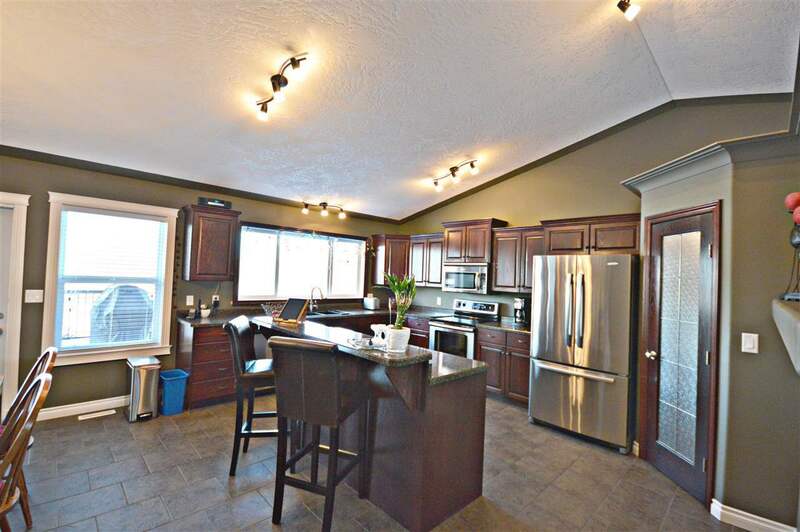 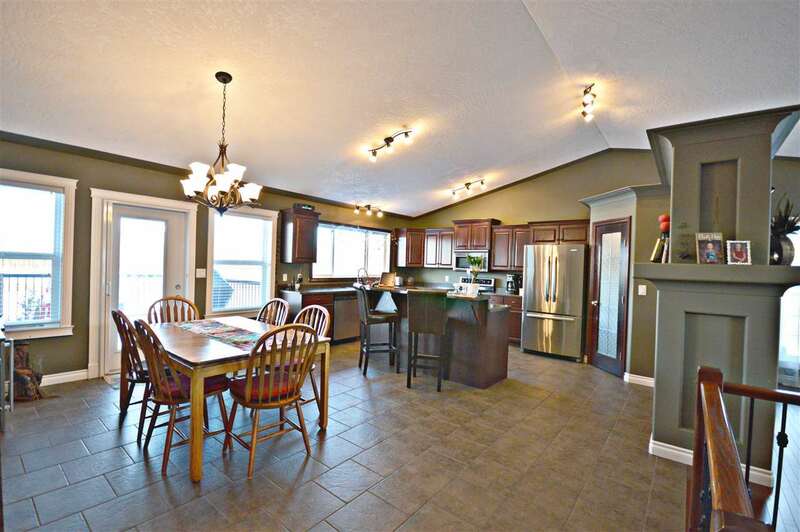 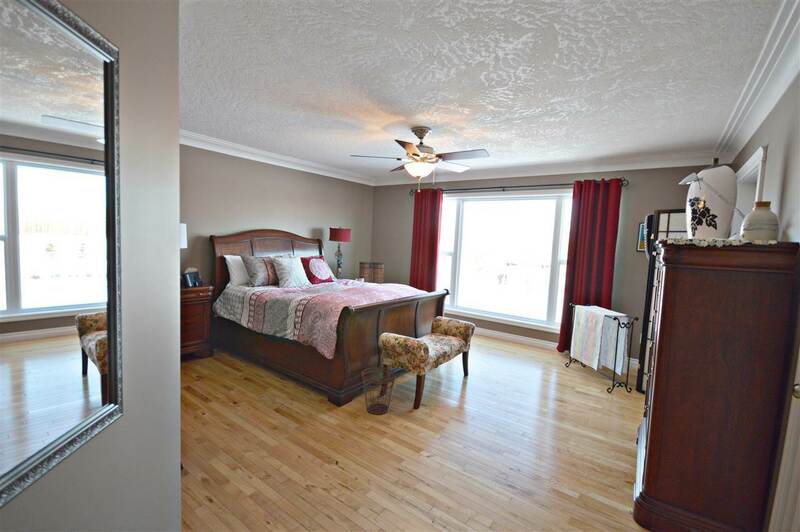 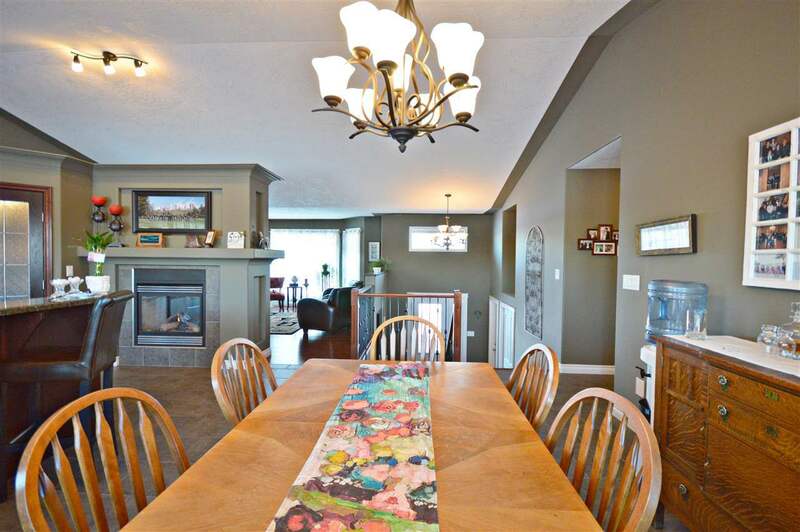 Basement is fully developed w/huge rec room, underslab heating & tons of storage. 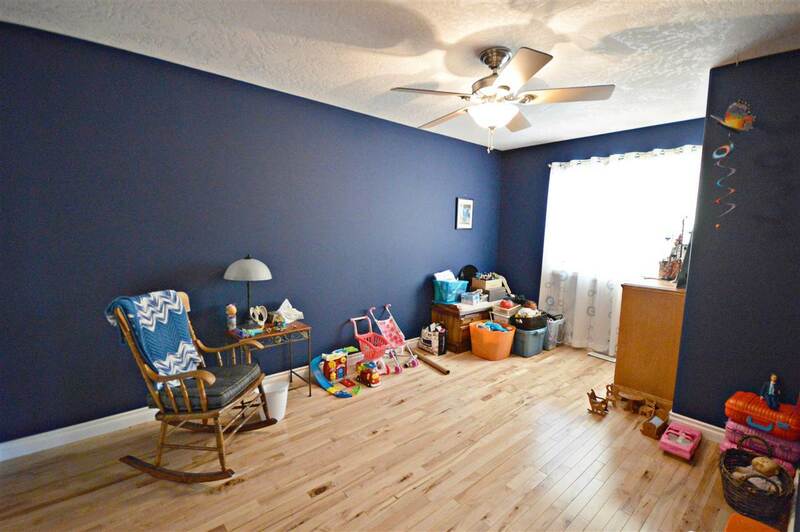 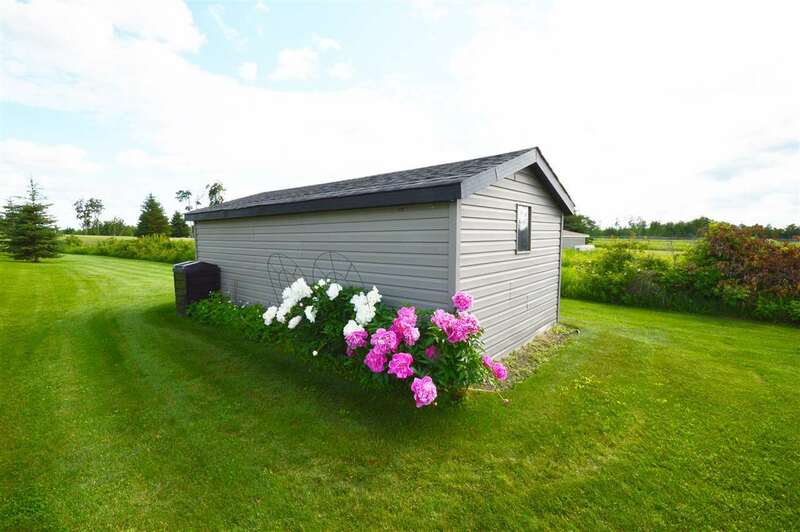 Convenient laundry room located just off the rec room attached heated triple garage. 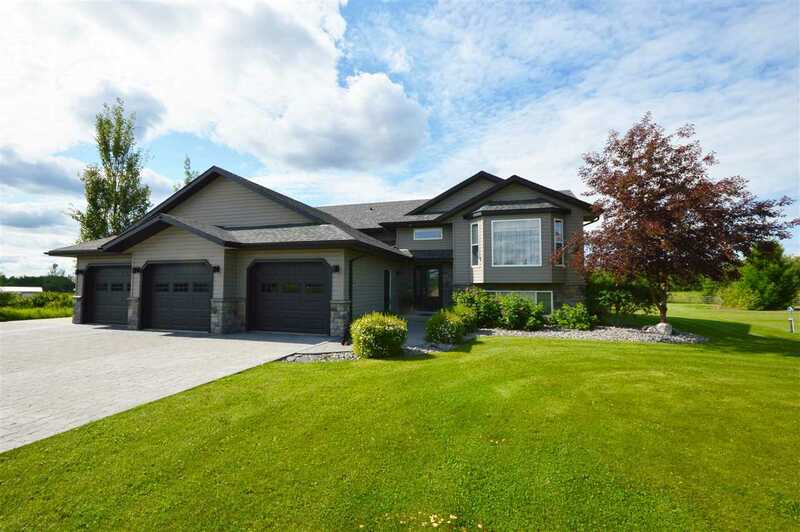 The exterior is adorned w/a combination of siding, stone accents a welcoming front entrance. 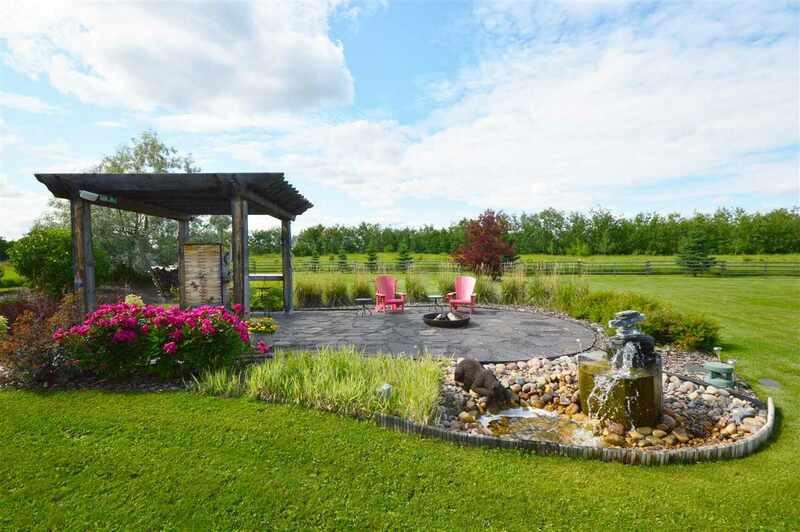 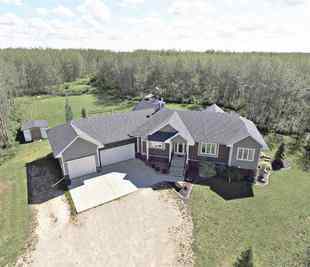 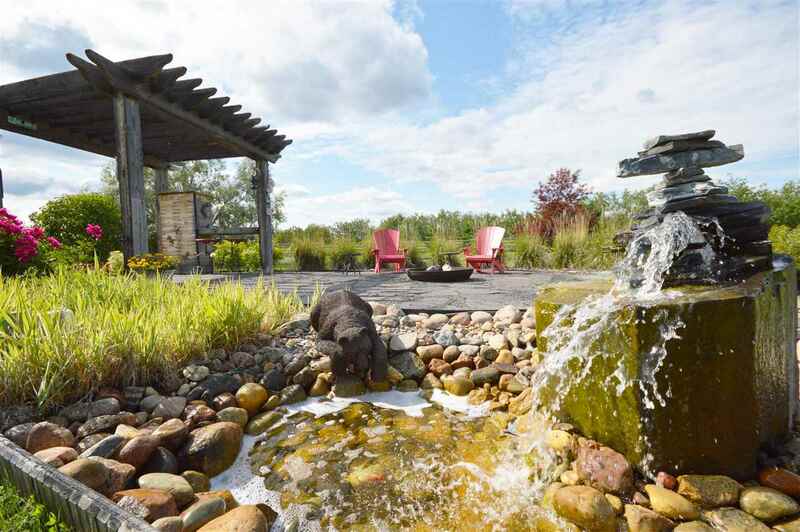 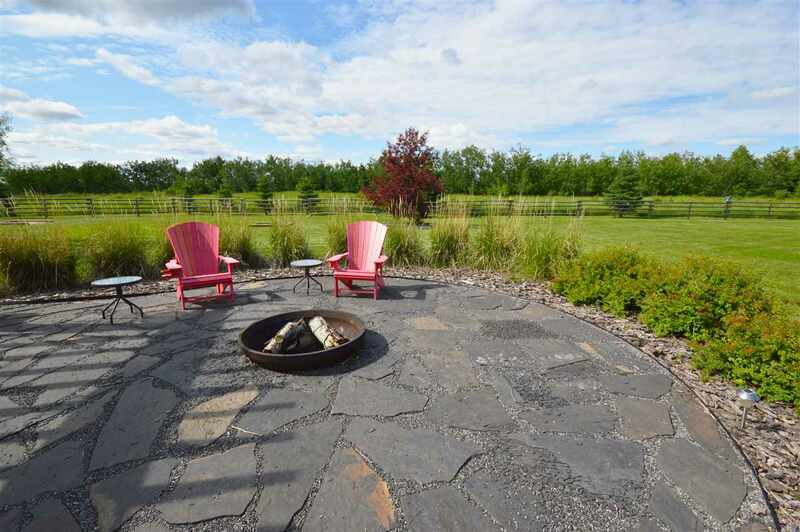 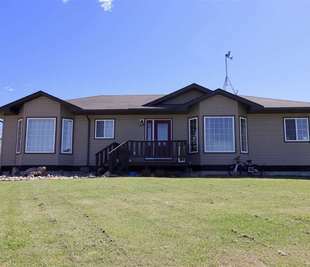 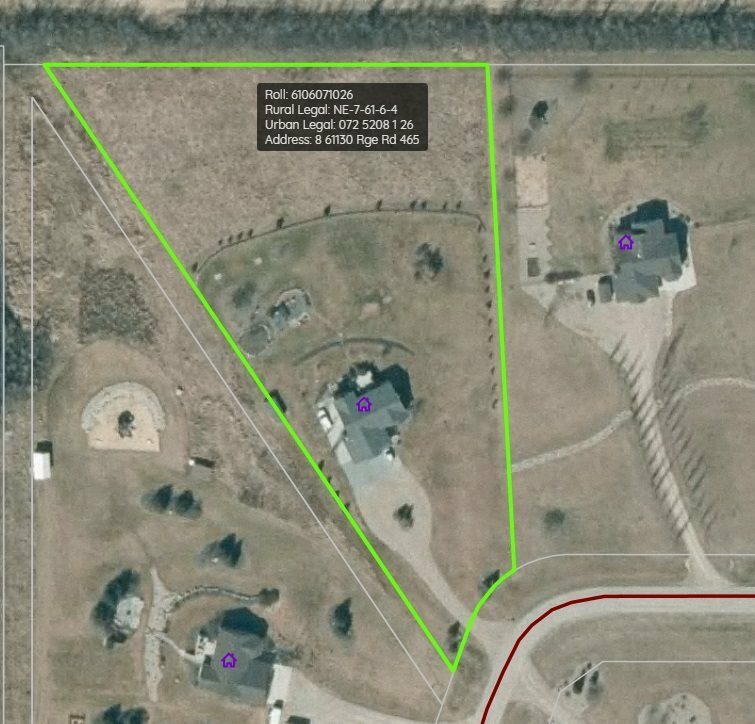 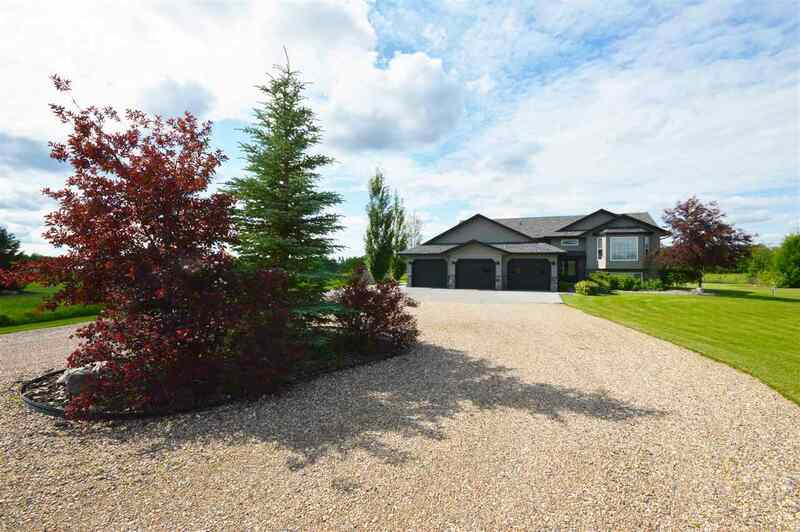 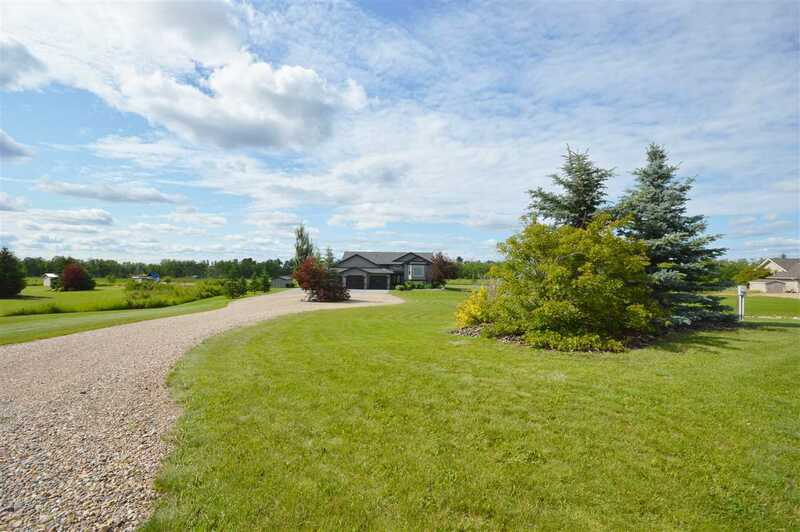 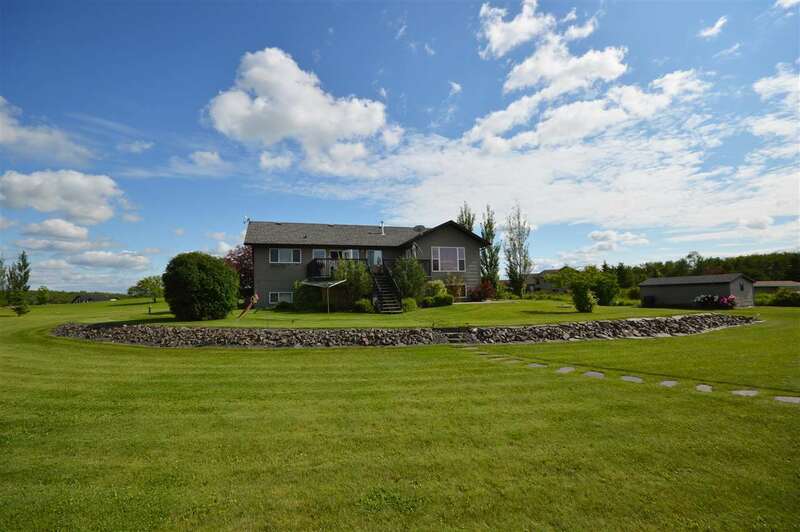 2.9 acres is complete w/stamped concrete garage pad, Rv Parking pad, professional landscaping w/pergola, firepit, pond, shed, raised gardens & mature trees!